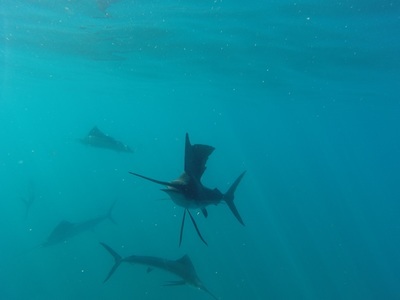 There is not much to say about this trip than you will be swimming with dozens of sailfish chasing a sardine bait ball. In the open ocean where anything can happen from manta rays, dolphins to false killer whales. This is the real wildlife experience, a one-day expedition to the committed ones. The search can be long, the ocean can be rough, but the reward is higher than anything you could imagine. Barna will be your guide on this expedition, and this is a guarantee to have the best odds for a grand tour. He did more Sailfish Tours the last years than most, and he learned exactly what to look for. Since we will follow the frigatebirds any small difference in their behavior and flight pattern and recognizing this difference can be what separates success from failure. Sometimes it is a long and hard day, but so worth it! - 08:00 am Pick-up at your hotel in Cancun (7:00 am Playa del Carmen and 6:00 am Tulum). 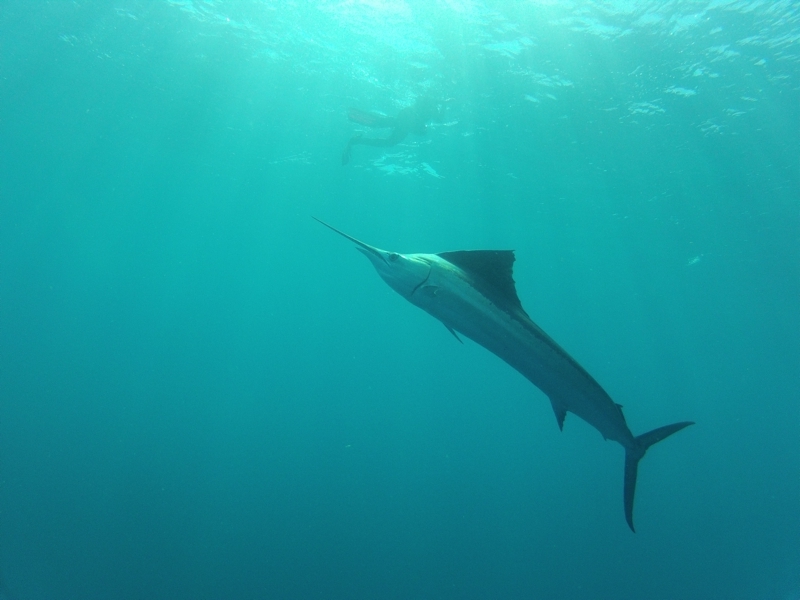 - 08:45 am We hop into comfortable and fast boats and head out to look for the Sailfish. - After we found them, we spend as much time as possible with them. - 12:00 pm After we had enough time in the water we spend some time relaxing and eating our lunch. - 01:00 pm Transport back to your hotel. 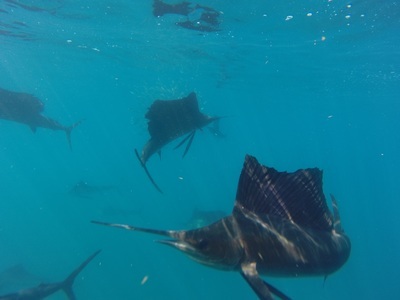 From the end of December to March sometimes over fifty or even a hundred Sailfish are chasing big bait balls of sardines and you have the chance to get up close to them. I am not joking; this is the adventure you will never forget. You leave the marina in Cancun early to maximize the time looking for the Sailfish. Technically you will look for birds, magnificent frigatebirds to be exact. It is a real exploration, heading out on a boat to open ocean, watching the sky, sometimes for hours not knowing what you will find this day. As soon as you spot the birds, you know that you are in the right place. The frigates are circling over one spot, and diving down repeatedly to break the surface with their bills and pick up a sardine from the water. You jump into a war zone! 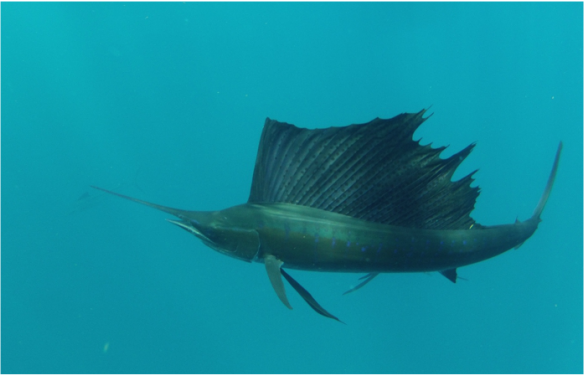 Sometimes around one hundred Sailfish are after the still massive ball of sardines. 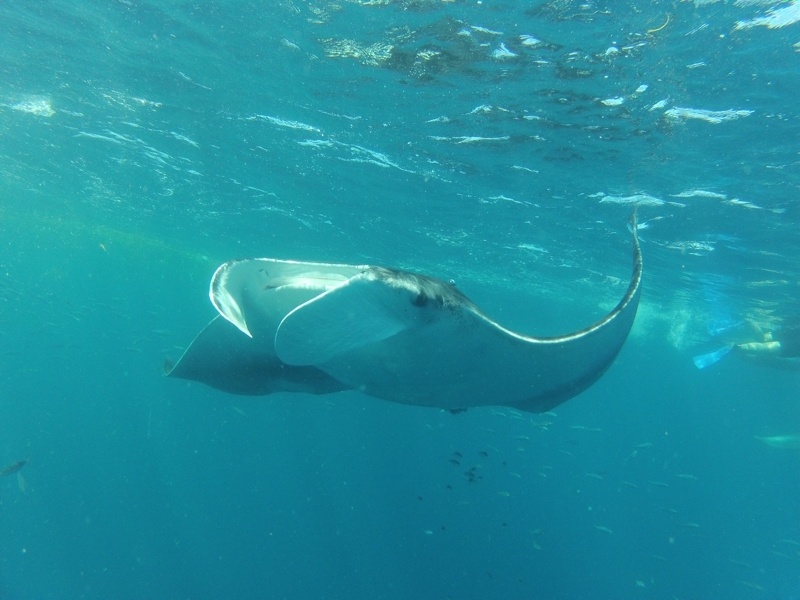 They are just everywhere, moving faster than anything you have seen before under the water. It takes a short time and some serious finning from your part when a smaller bait ball will be separated so that a smaller group of Sailfish (around 30 individuals usually) will take charge. The Sailfish are in perfect control at this moment, and the bait ball is not going anywhere, so you can rest a bit. 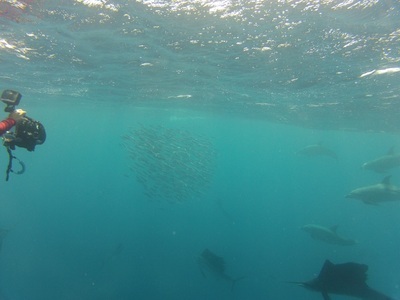 The circling Sailfish take turns to one by one charge the bait ball. They open their sail and rapidly change their color to confuse the pray while they attack. With their long bill, they pick out a single sardine, separate it from the bait ball and eat it. After this, they join the other Sailfish which are controlling the bait ball leaving another one to take its turn and attack. 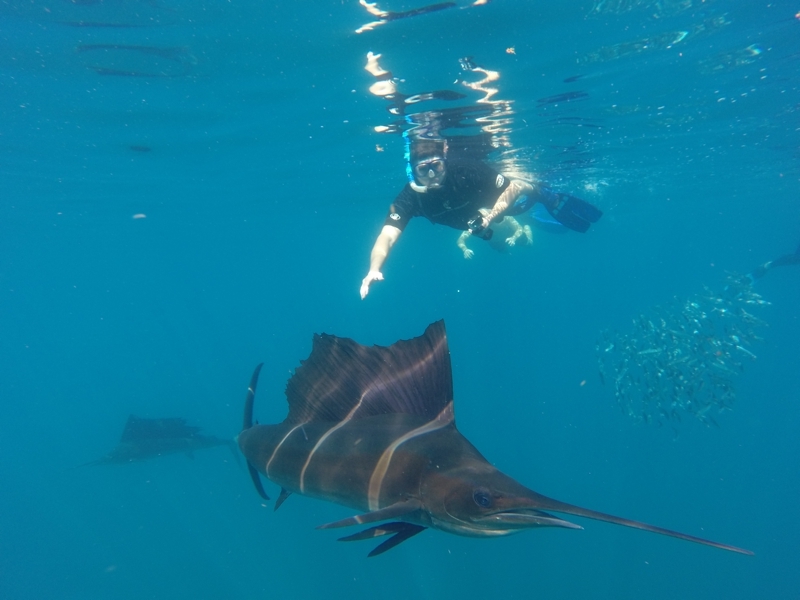 If you are a certified diver and want to learn about these magnificent predators, take the next step and get the PADI Sailfish Specialty certification which is available only with Encounters!